I love that we dedicate one day a week to worship God and make it a different day. We rest. We go to church to worship God. We take a break from the hectic and stressful daily lives we lead. We get extra time to enjoy our families. (There is) need for regeneration and the strengthening of our spiritual being. God knows that, left completely to our own devices without regular reminders of our spiritual needs, many would degenerate into the preoccupation of satisfying earthly desires and appetites. 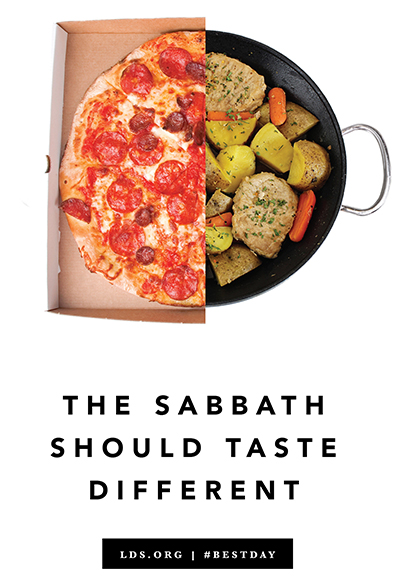 This need for physical, mental, and spiritual regeneration is met in large measure by faithful observance of the Sabbath day. I like a couple things about this. I think it’s a little bit softer message than “you should not go to movies on Sunday”. 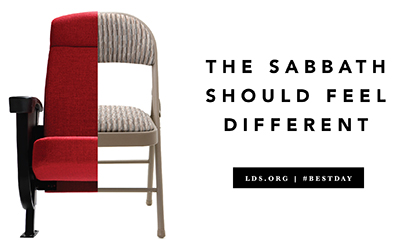 And second, I think the focus here is not on a list of specific do’s and do not’s, but a general message of “make the Sabbath a little different”. If you normally listen to rock music, try listening to acoustic music. If you normally grab a pizza and put it on the counter for everyone to grab as they go about their busy day, make a home cooked dish and sit down as a family to eat together. 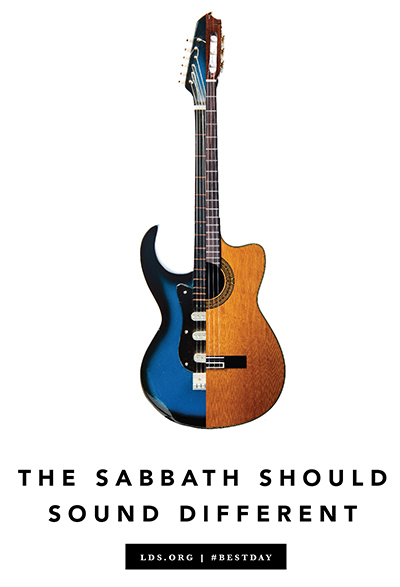 The church in 2015 has been emphasizing Sabbath Day worship as a time to 1) worship God 2) spend time with families. These are two of the most important reasons for religion for me, personally. I love Mormonism for facilitating my ability to worship God. 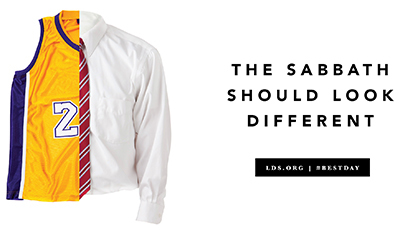 And I love Mormonism for emphasizing the importance of families. Two great reminders for me on a regular basis.